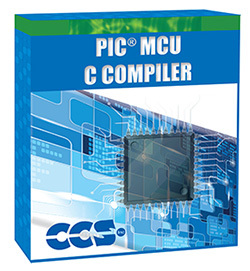 CCS developed the first C Compiler for Microchip microcontrollers over 20 years ago and continues to provide software solutions to developers of embedded applications using PIC® MCU and PIC24/dsPIC® DSC devices. CCS compilers are easy to use and quick to learn. For the less experienced programmer, a detailed textbook explaining the C language and how it may be applied to PIC® microcontrollers. Our compiler products include pro-level optimization, the largest library of built-in functions, powerful PIC® MCU specific pre-processor commands, and ready-to-run example programs to quickly jump-start any project. Our massive customer base provides us access to understanding our customer's requirements while developing advanced features with frequent releases and rare bugs. Our C-Aware IDE provides embedded developers with a suite of tools and an intelligent code optimizing Microchip PIC® C compiler that frees developers to concentrate on design functionality instead of having to become an MCU architecture expert. C-Aware allows developers to manage every aspect of their embedded software development, from design through device programming and debugging. C-Aware is the ideal environment to develop C program code with integrated built-in functions, performance analyzation and statistics, and debugging compiled code in real-time while running on Microchip PIC® devices. All CCS compilers have pro-level optimization and are available in flexible software configurations that fit your project requirements. New licenses include: initial download rights, optional maintenance renewals, and free tech-support for the life of the product. 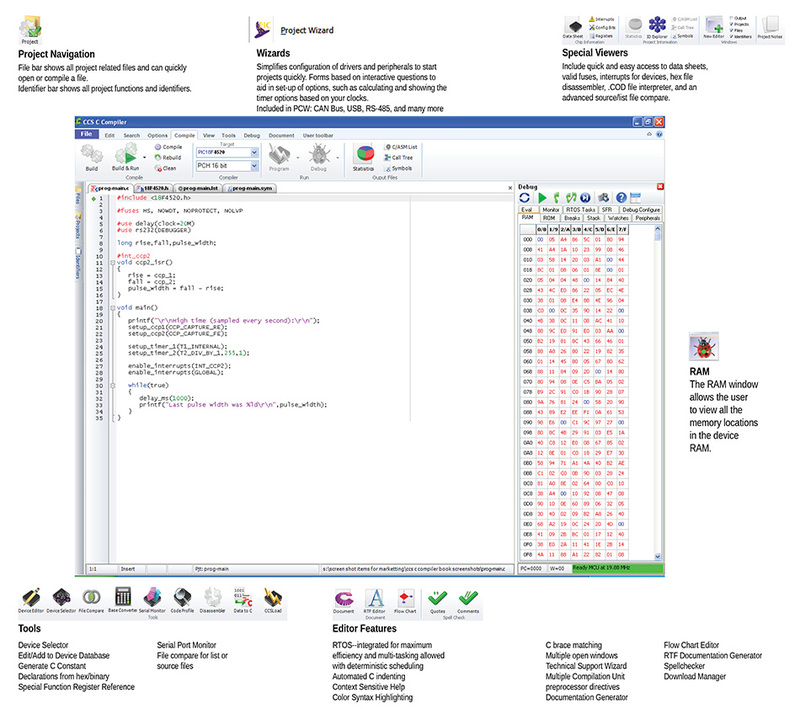 All compilers are compatible with third-party tools such as Microchip MPLAB® and MPLAB® X.